Antiques + Vintage + Collectibles. Affluent Appraisals is a fine art and antiques appraisal firm based in Houston. The company was founded earlier this year by me, Phoebe Seward, your new personal fine art and antiques specialist! 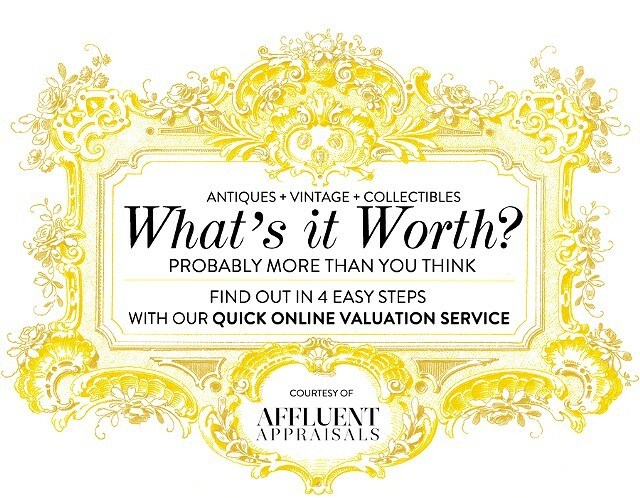 I offer an easy way to find out the value of your most treasured item. 2. Fill out the form with your information & information about your item. 3. Upload images of your item. In 3-4 business days you will receive an email from me with a Certificate of Value that I custom made specifically for your item. - any advice I might have about conservation, restoration, selling it, current market trends, etc. I have a master's degree in art history & art world practice from Christie's Education, and I have spent years working in the fine art and antiques auction world. I am a master sleuth and will find out as much as I possibly can about your treasure (I love researching). 2. Click on the chat box in the bottom right hand corner. I'll be waiting on standby between 9am-9pm to answer any questions you might have before submitting the form, images & payment.